Everyone has heard of black bean burgers, so now we need to talk about these vegan Chipotle Black Bean Patties and how they are a little different. Recently, there was an event that I needed to take a dish to and knew there would be very limited plant-based options for me and my husband to eat. We needed a good main course, but this wasn’t a cookout or picnic, so taking veggie burgers wasn’t really a good option. After a little bit of thought, I decided to turn an old familiar recipe into a main dish. All these black bean burger patties needed was a little reshaping. Everyone else at the family gathering was having rotisserie chicken, so I decided to make my black bean burger recipe. Only this time, I would shape the patties more oblong and add some Creamy Chipotle Ranch Sauce to them for an extra pop! 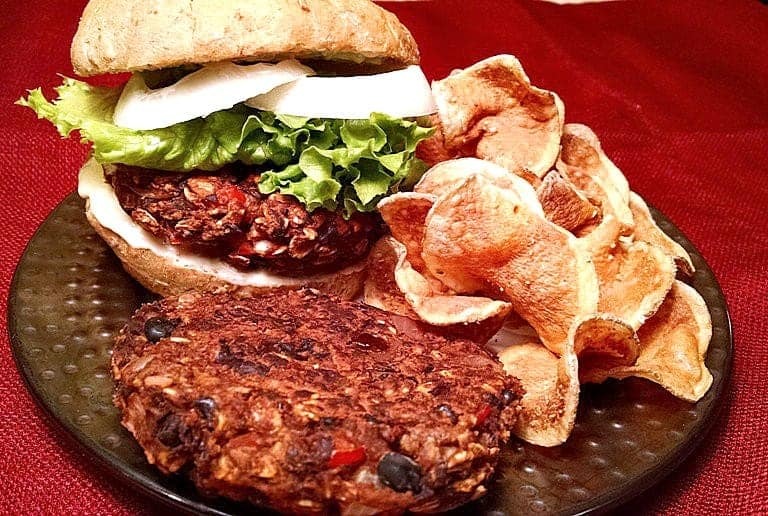 Vegan Black Bean Burgers. Click to view full recipe. Because regular homemade vegan black bean burgers don’t have eggs in them, many fall apart easily or just mush together when eaten in a bun. But, that won’t happen with these. It’s the rolled oats that help them hold together. That’s perfect for what I wanted to do with this non-cookout main dish. The Chipotle Sauce just pushed it over the top! Vegan Chipotle Sauce is the magic ingredient with these patties. Click to view full recipe. 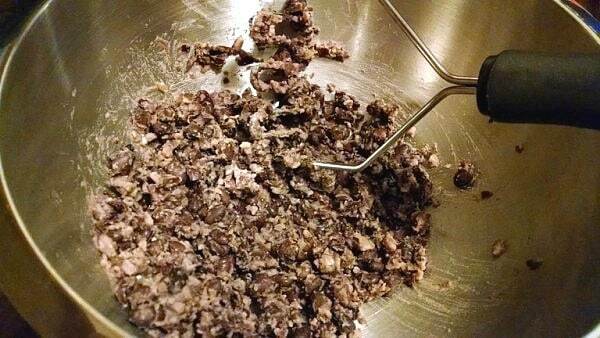 Making the patties is so simple and requires only one bowl and a potato masher for mashing the black beans. 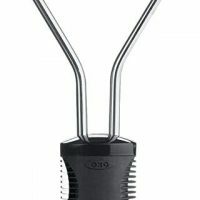 Simply mash black beans with a potato masher or fork. 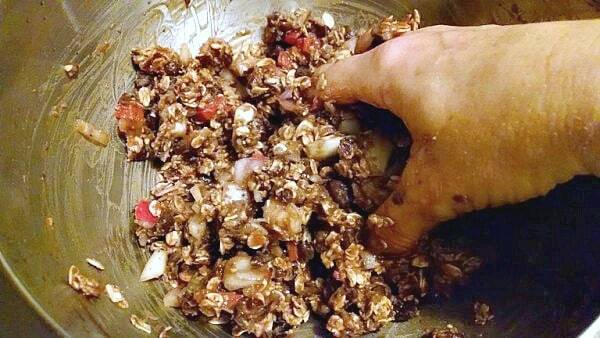 Then simply add in whole oats, red bell peppers, onions, chipotles (if desired), and seasonings. Next comes the fun part. Now, you can use a spoon to mix these ingredients, but I have found that my hands work much better for this. Kneading the mixture together is much more effective and thorough. Form into patties or whatever shape you prefer. For this gathering, I decided to go with an oblong shape, so everyone would not be asking, “Where are the buns?” And it worked! These black bean patties went over extremely well. I made about a dozen or more and came home with an empty plate. One of the runners in the family went on about how good they were and how he love the mixture of black beans with the chipotle sauce. For tha’ WIN! Let me make a suggestion. I made about 3 batches while I was at it. Half of the mixture, I made into oblong patties to take to the family event. The other half, I made into regular circular black bean patties so we could have burgers later. They freeze well, so I knew I could pull them out later and have dinner ready in minutes on one of those nights that I don’t feel like cooking. Cooked beans have a whopping 7 grams of fiber per half-cup serving. 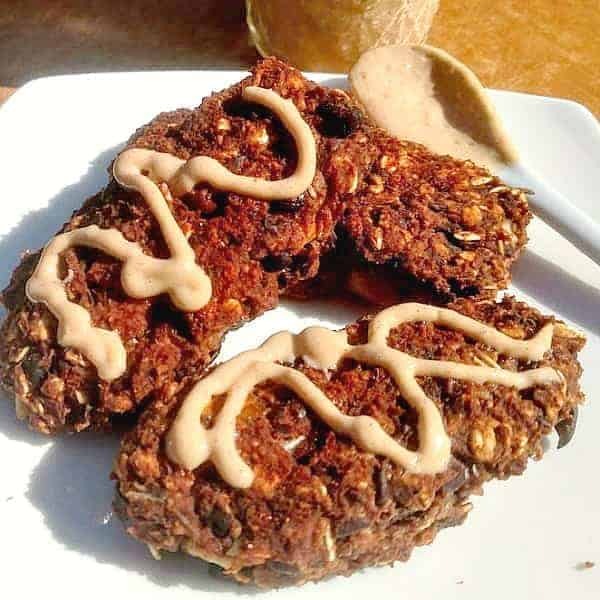 Everyone has heard of black bean burgers, so now we need to talk about these Vegan Black Bean Chipotle Patties and how they are a little different. Made with black beans, whole oats, red bell peppers, onions, and spices, these patties are a delicious addition to any meal! Dice onion and red pepper. Mince chipotle pepper if using. Form into patties. Line a baking sheet with parchment paper and bake at 350 degrees for 25 minutes. 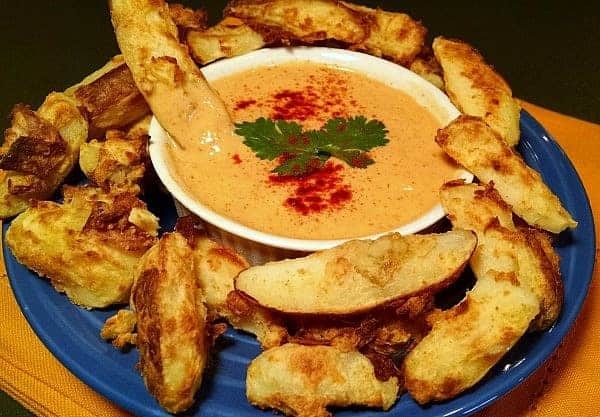 Drizzle with your favorite sauce. 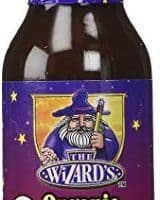 My favorite happens to be Chipotle Ranch Sauce but barbecue sauce also works great. Serve warm. This looks great but I don’t see onions in the ingredient list. How much did you put in the recipe? Oh! Thanks so much for catching that! I’ve added the onions to the ingredient list now. 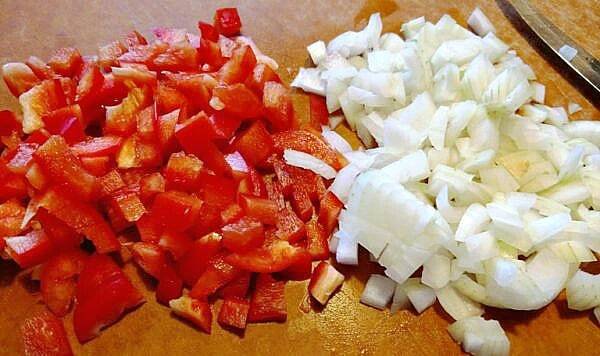 This recipe calls for 1/4 cup diced onions. Great eyes! Sounds wonderful! Question: do you drain and rinse the beans, or just use the entire contents of the can? Definitely drain and rinse the beans. Hope you enjoy! I never use canned any thing, I only use healthy fresh food. 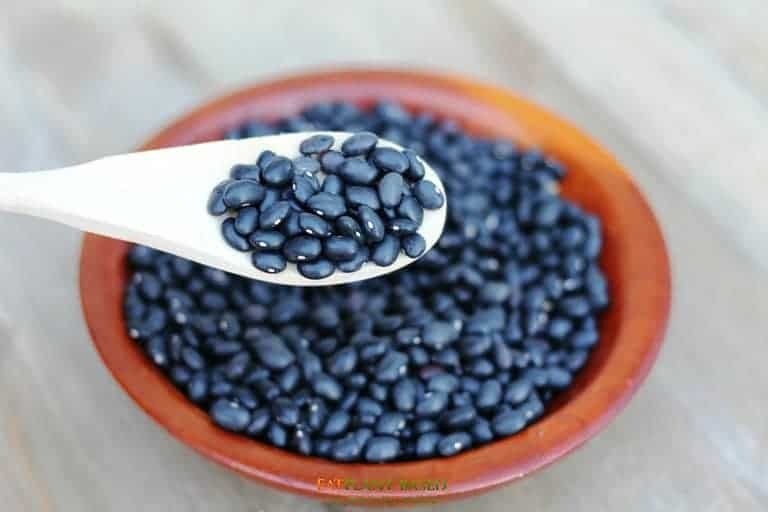 How do they turn out using dried beans? Cooked dried beans work terrific in this recipe.